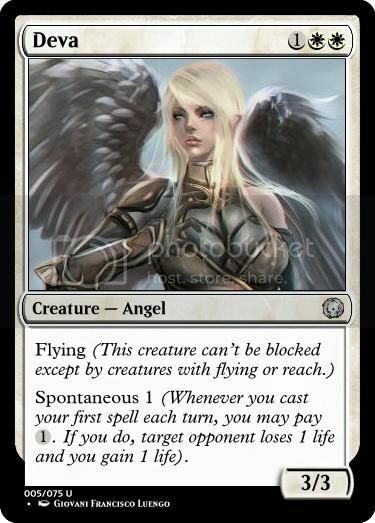 Tymora's blessing on you, traveler! And welcome to the Realms. 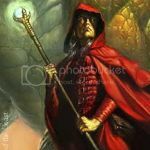 This project aims to bring into Magic the Gathering the spells, characters and scenarios of the critically acclaimed video-RPG series of Baldur's Gate, set in Dungeons & Dragons' Forgotten Realms. The "block" will be composed of three sets, based on the three main storylines: Baldur's Gate, Shadows of Amn and Throne of Bhaal. The other expansions and modules, and the Enhanced Editions games will be included. Back in the old forums, there was a "Bhaalspawn Saga" thread, but the project was soon abandoned. I picked it up, restarted it from the beginning and continued working on it for the last few years. Credit will be given to all those participating in the project, both back then and now. 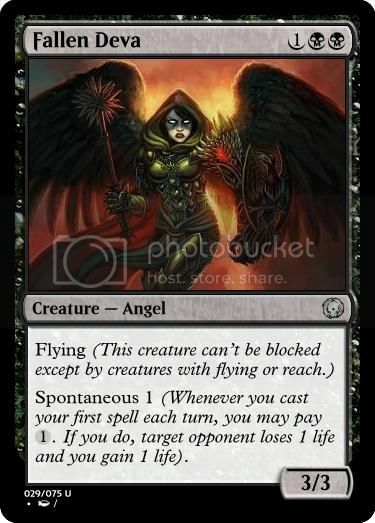 Spontaneous X ( , the name may yet change): "Whenever you cast your first spell each turn, you may pay . If you do, target opponent loses 1 life and you gain X life." 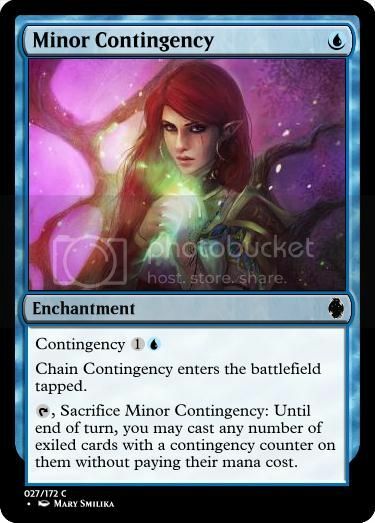 Contingency ( ): "When you cast this spell, you may exile any number of instant or sorcery cards with total mana cost from your hand with a contingency counter on each of them." 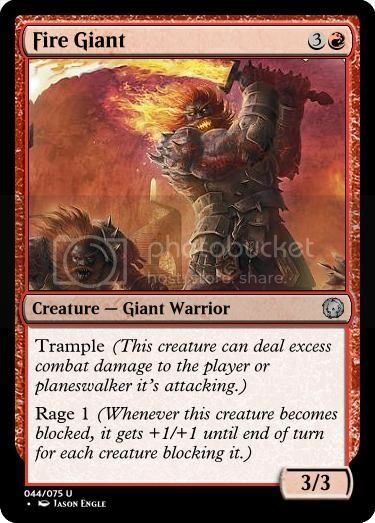 Rage X ( ): "Whenever this creature becomes blocked, it gets +X/+X until end of turn for each creature blocking it." 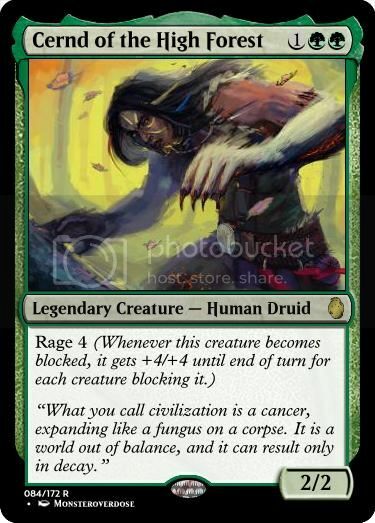 A more powerful (and more linear) version of Rampage, inspired to the Barbarian Rage class ability. I'm considering adding a mono ability, and I'll gladly accept suggestions. 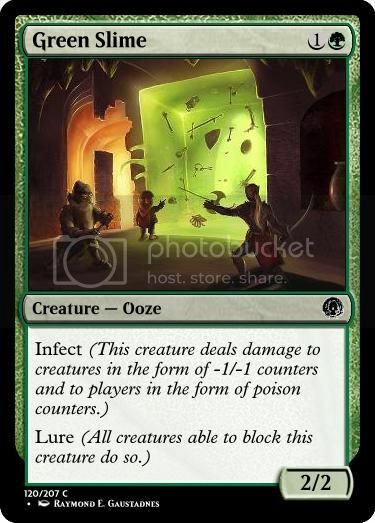 Lure ( ): "All creatures able to block this creature do so." 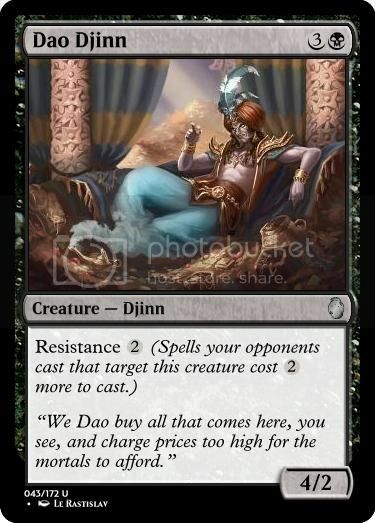 Resistance X ( , I'm considering making it ): "Spells your opponents cast that target this creature cost X more to cast." 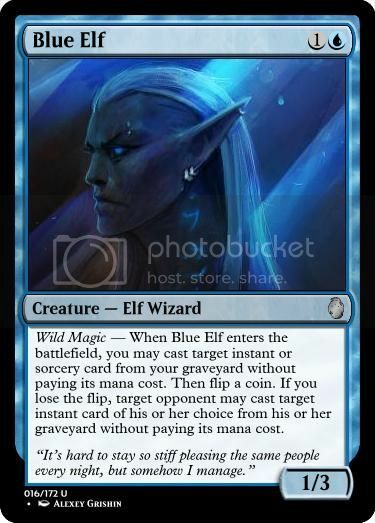 A weaker, but more flexible, hexproof. 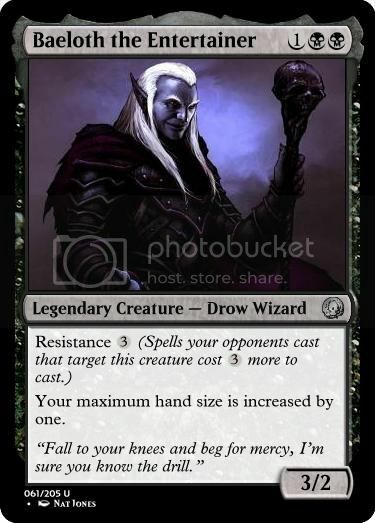 It's meant to simulate the spell resistance granted by certain spells (or the Drow innate racial ability). These are (so far) the returning keyword abilities (not counting deciduous and evergreen ones). 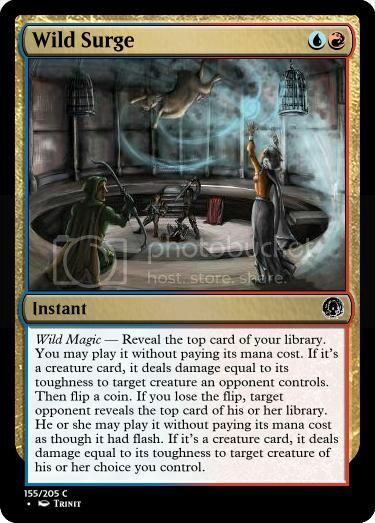 Madness ( , 3 cards, a mini cycle). Since the code in this website is twitchy, and I had to re-do the entire post over and over after every tiny change, I'm saving this comment to post additional pictures without messing with the first post.